This Libguide contains links to issues of the Indiana University Southeast Student Newspapers. This project was funded by grants from the Horseshoe Foundation of Floyd County and the Indiana University Bicentennial Grant. It all started on March 12, 1947, when students in an English class produced the first issue of The Southeastern Student as part of what was then the Indiana University Jeffersonville Extension Center, the first regional campus to have a student newspaper. Though it changed its names over the years, the student publication – now called “The Horizon” – has consistency been a source for campus news, information, and opinions. It chronicled the campus changes, from stories about new buildings on the early Jeffersonville campus in the late 1950s, to the creation of student organizations and sports programs in the 1960s, to the move to the New Albany campus in the 1970s. It also covered broader community and national issues, including the Vietnam War and the Civic Rights Movement in the 1960s and 1970s. For much of its history, The Horizon was a weekly, but to cover the 1992 presidential election, the student editors decided to operate like a daily, with editors, reporters and photographers working through the night with the paper hitting the streets that morning with coverage of Clinton's election as president as well as results from state and local elections. The Horizon embraced the web and produced weekly video newscasts in the 2000s. Students and advisers always pushed for the work to be professional quality, and in 2015, that work was recognized with a Newspaper Pacemaker Award from the Associated Collegiate Press, considered to be the Pulitzer Prize of college journalism. In 2018, The Horizon launched Horizon Radio, a 24-hour-a-day Internet radio station broadcasting from the campus. The IU Southeast Library has digitized most student newspaper issues since 1947. The Horizon publishes online almost daily and in print every two weeks. New stories can be read on The Horizon’s website and Horizon Radio can be heard on its website. Help us find Missing Issues! 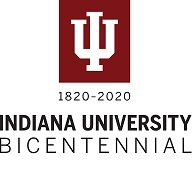 If you have an issue that we can scan for our collection, please contact Melanie Hughes, Librarian, mehughes@ius.edu or Mikey Mendick, Library Technical Support Provider, mikey@ius.edu.